The Studio Vino paint and sip experience is a fun and unique way to uncork your creativity. Enjoy your favourite glass of wine while re-creating the featured painting of the night. No experience required! Paint, canvas and brushes are provided, as well an experienced local artist who leads the group step-by-step through the process. Join us for an unforgettable night of painting, sipping and socialising! Come with friends or come on your own and make new friends. Please visit our website for images and detailed information on each event. Studio Vino has been operating in Adelaide since 2015. 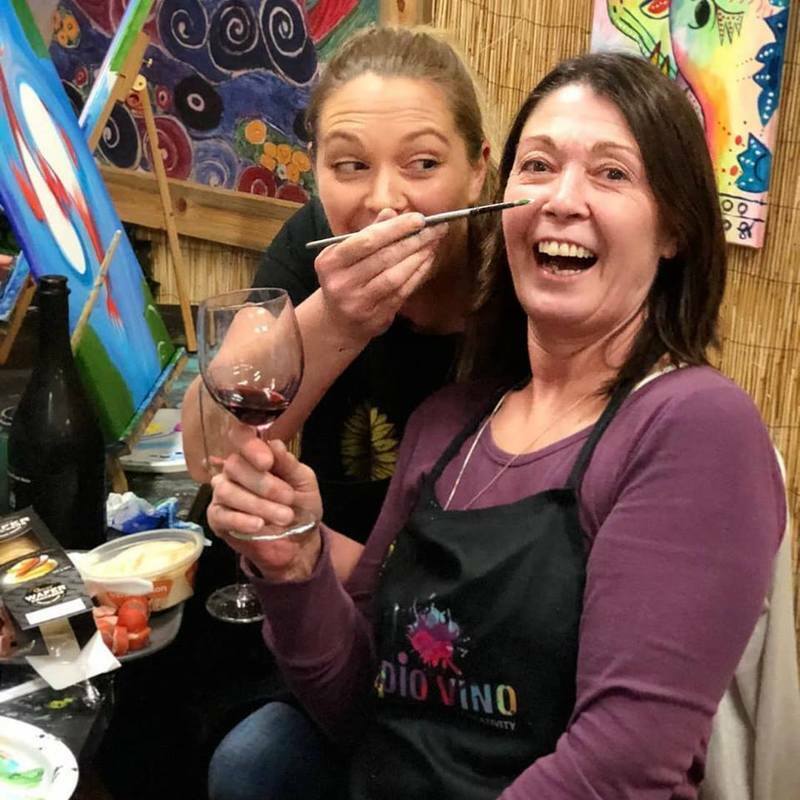 The paint and sip experience is not an art class but rather a fun and unique way to enjoy a night out. Painting or creative experience is not required, anyone can do it!